Hello everyone! I apologize for my crazy long absence, but I’m ready to get back into the blogging world and show you guys some awesome new products! 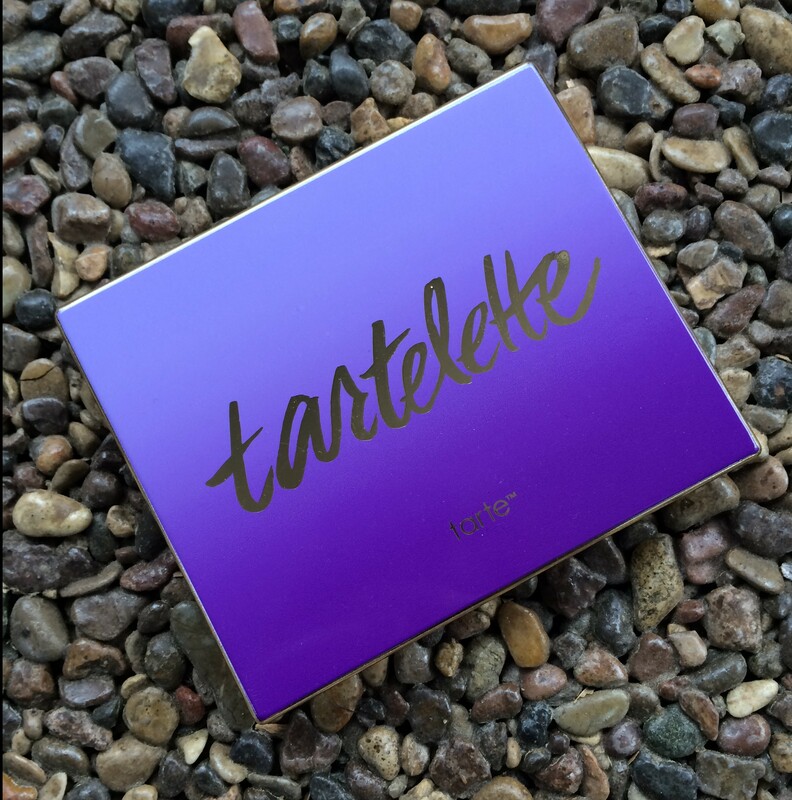 The first one I want to showcase is the Tartelette palette by Tarte. 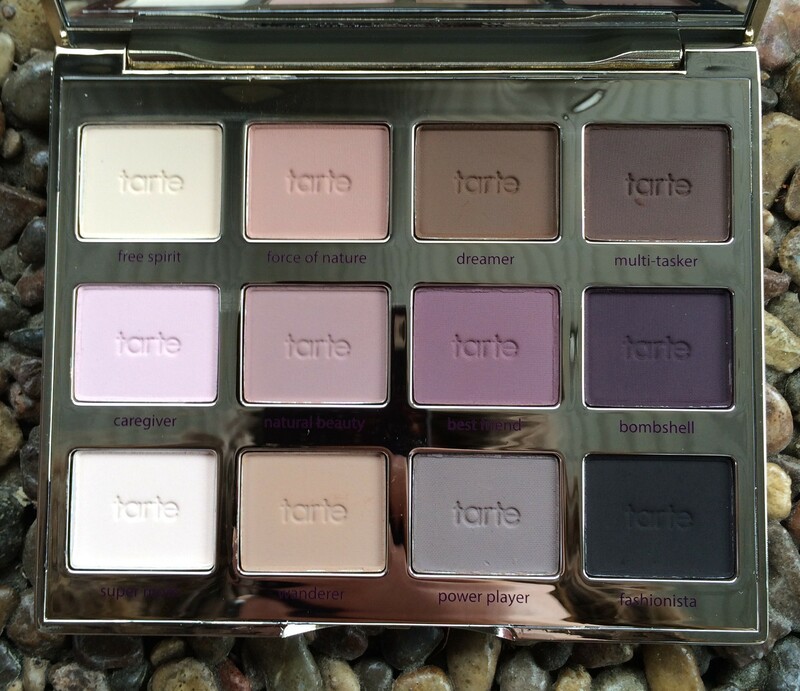 I’m a HUGE sucker for matte shadows and I was so happy that Tarte decided to release an entire palette of neutral matte shades. One can never have enough matte neutrals! Right off the bat, one thing that I appreciate is the layout of this palette. The top row contains all your warm shades, the middle is neutrals, and the bottom has cool tones. It really takes all the guess work out of putting together a complete eye look. The shadows themselves are also really great quality. I feel like Tarte gets praise for a lot of other products they have out on the market, but their eye shadows never get much attention, which I don’t understand! They are all very pigmented, buttery smooth, and blend out beautifully. I have found that they can be a little powdery in the pan depending on which brush you use to apply them, but it’s not much of a big deal to me since the majority of good quality matte shadows can get a little chalky. 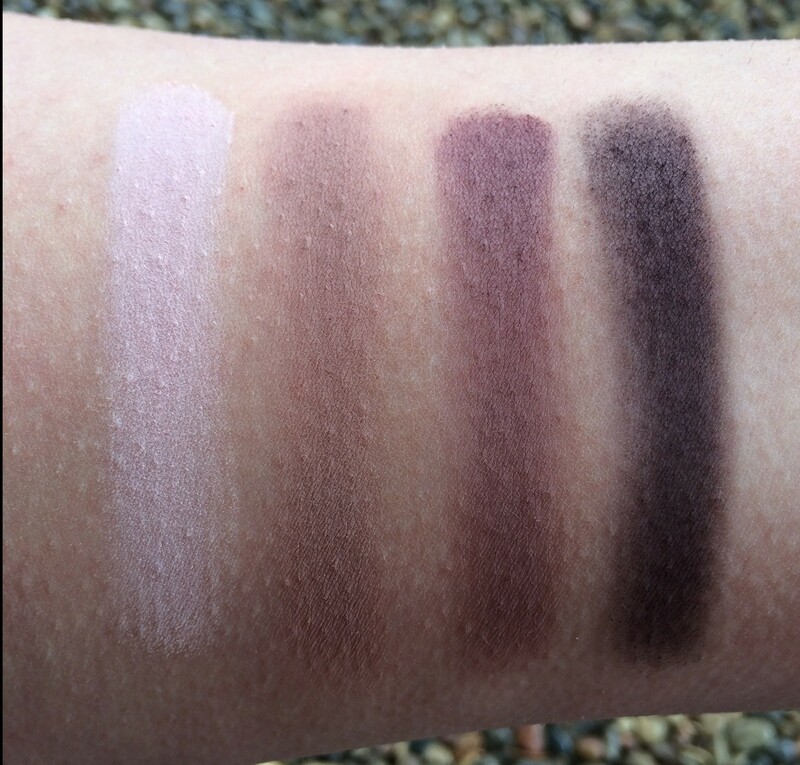 Now for the part you’ve all been waiting for, SWATCHES! 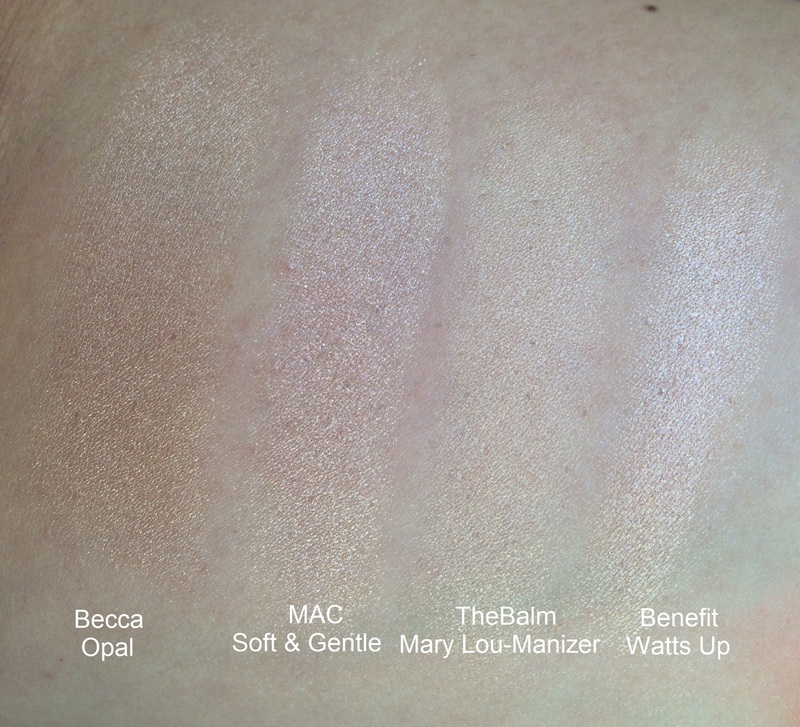 All swatches were done on bare skin with no primer and photo was taken with my iPhone 5 in natural sunlight. 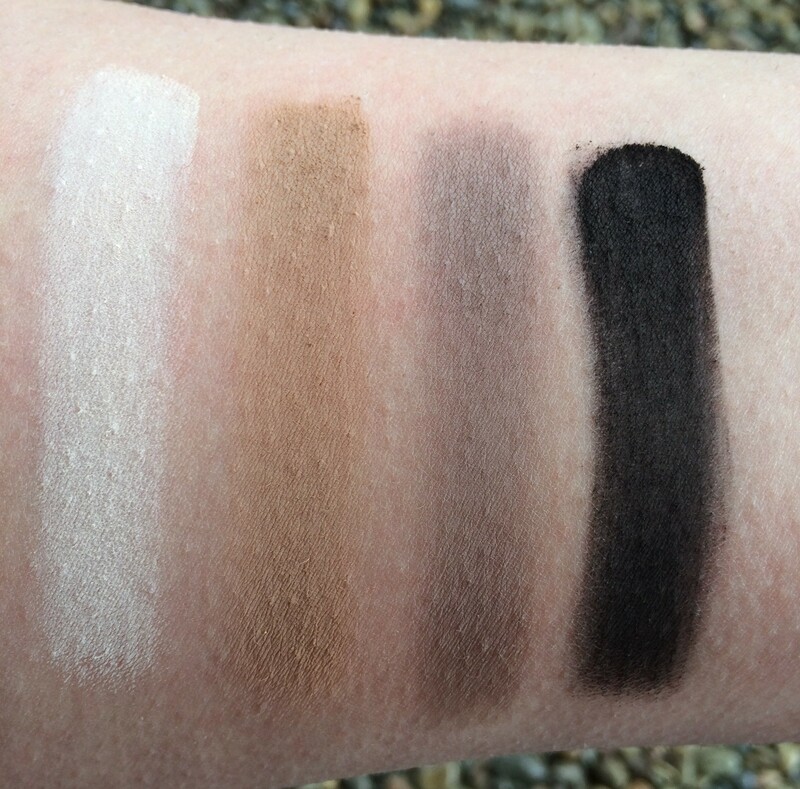 As you can see from the swatches, each shadow is really pigmented and smooth. I received this palette for Christmas so I’ve been playing around with it for about 2 months now. I’ve found myself constantly grabbing for this palette which is surprising because I usually play around with new palettes for a week or two then I start to lose interest. This palette is great because you can create full looks without having to pull other shadows from your collection to go with it. The packaging is sleek and would be great to travel with. It’s really become a staple in my collection and I highly recommend it if you’re looking to add some mattes to your collection, or if you’re simply a matte lover like myself! Hey guys! Here’s a quick little peak at the makeup I’m wearing today. 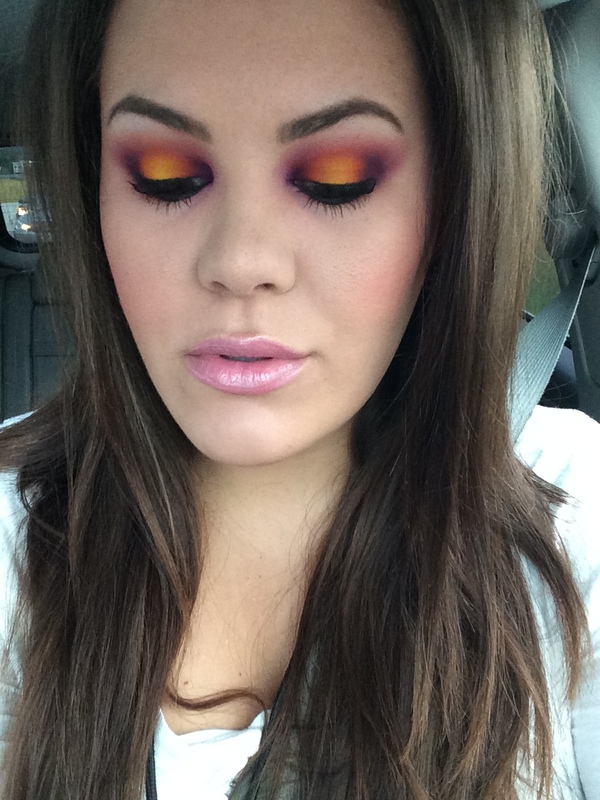 I’ve been loving a ton of color lately and it seems like the more dramatic, the better! I don’t know why, but I feel so confident and sassy with super dramatic eyes! It’s that time again! I know I’m a few days late, but it’s always better late than never, right? This month I didn’t have too many favorites, but a few of them were new purchases for me so let’s jump right into the products! Kat Von D recently relaunched her line of lipsticks with a new matte finish, as well as some new edgy packaging. I picked up two of these lipsticks, but the one I’ve been really loving is Lovecraft. The formula of these lipsticks is amazing. Usual mattes tend to really dry out the lips, but it’s not the case with these guys. They definitely don’t moisturize the lips, but they don’t dry them out at all. I’ve found that they have really long wear time and I only have to reapply after eating. 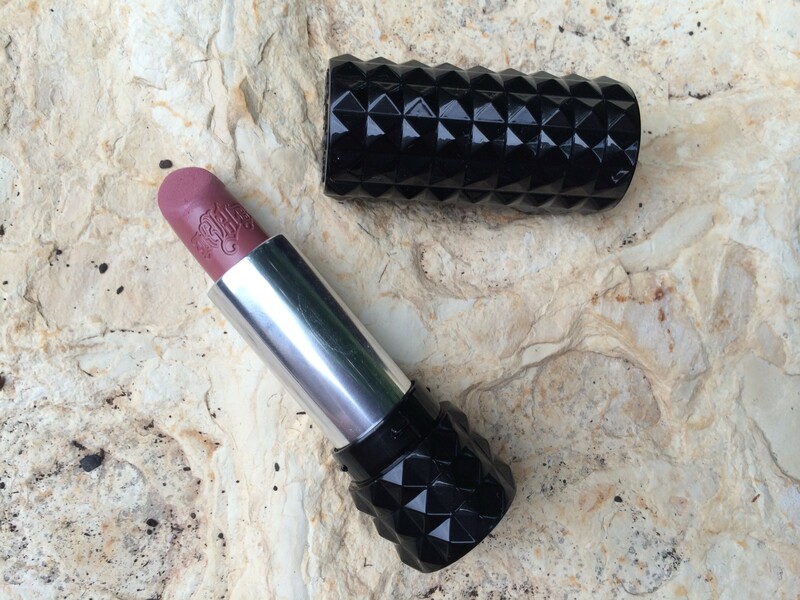 I’m seeing a few more of these lipsticks in my near future! 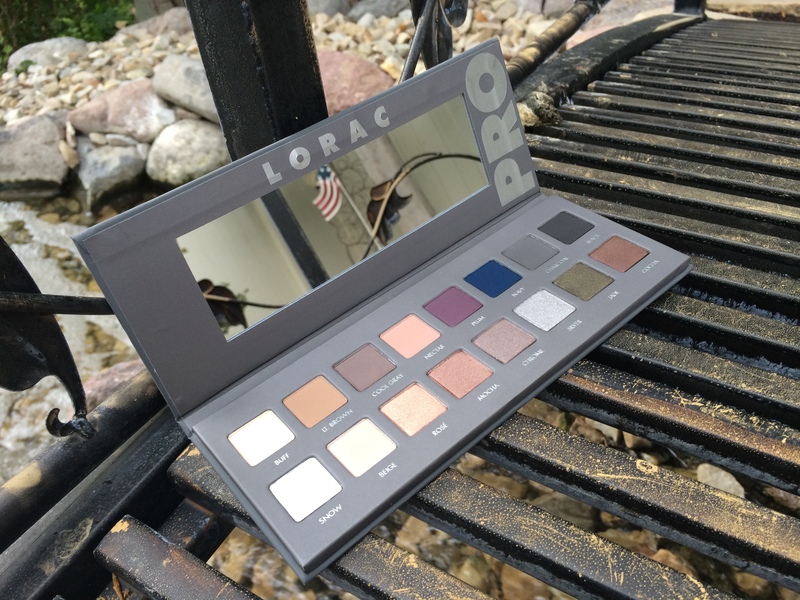 The Lorac Pro 2 was recently released and I have been LOVING it. The original Pro palette is one of my favorite palettes of all time, so I had really high expectations for this guy. Luckily, he’s definitely lived up to them! With this palette you can do a really neutral look for every day wear, or bump it up with some color. The possibilities really are endless. I did a full review for this palette so if you’d like to see swatches and my thoughts, check it out under the “Reviews” section of my blog! This is probably the most hyped up product of 2014 and I definitely see why. The color of this highlighter is amazing. It’s really warm and looks GORGEOUS on the skin, especially if you have a bit of a tan. The pigmentation is out of this world. One small swipe of the brush and you can highlight your whole face. I can’t get enough of this product! This blush has been a rediscovery for me. I purchased this a few years ago and have since shied away from blushes that have any glitter or shimmer in them. For some odd reason, I’ve done a complete 180 and now I’ve been really into shimmery blushes. 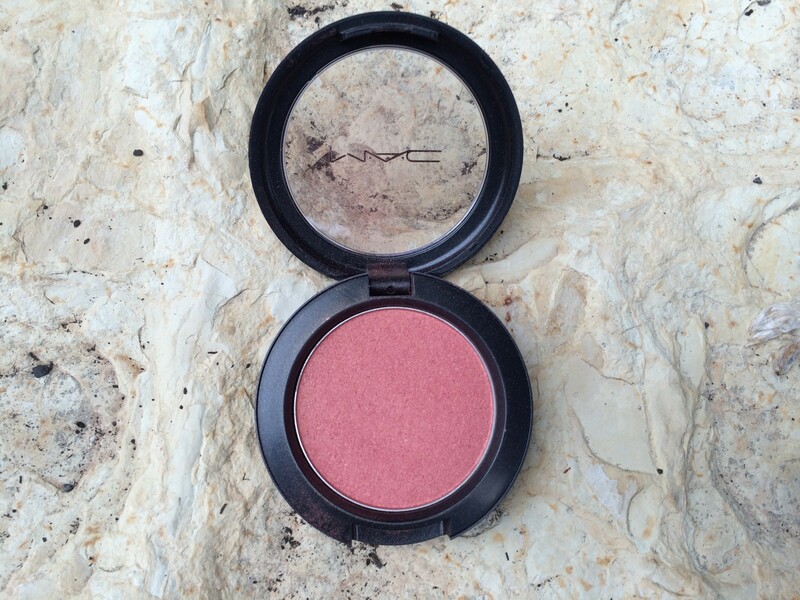 This blush is a deep coral color with small flecks of gold. It’s soooo gorgeous! 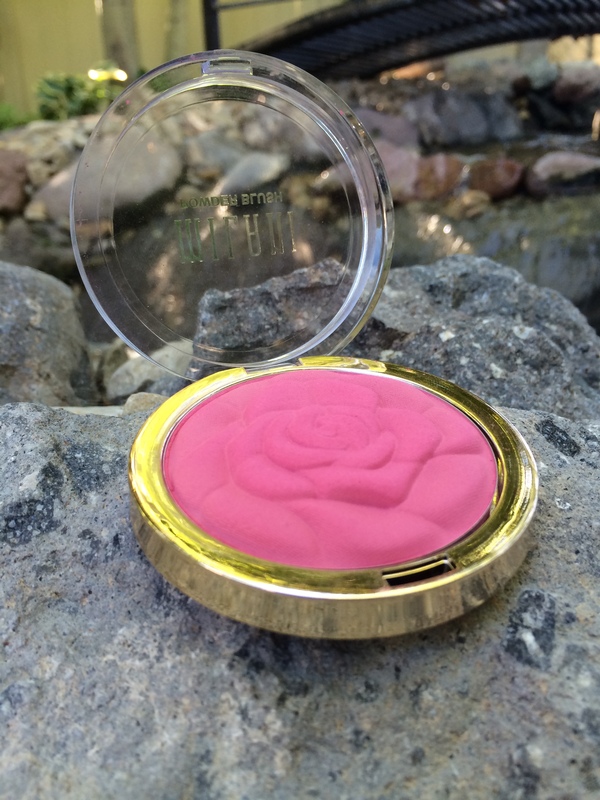 This blush has easily moved into one of my top blushes. I have been hearing about Anastasia products a ton within the past year or so, but I was so stuck on my MAC brow pencils that I never branched out until just a few months ago. 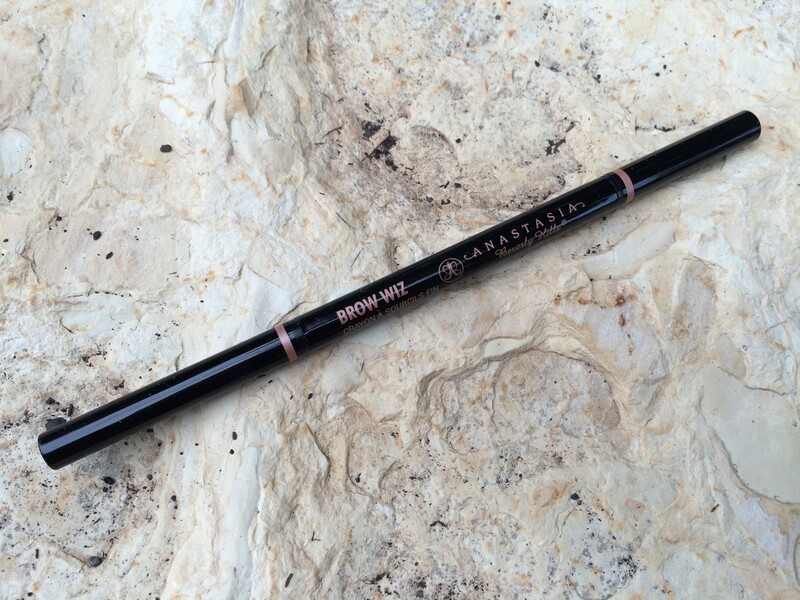 The Anastasia Brow Wiz has now become my holy grail brow product. It’s seriously amazing. The actual pencil is very thin so you’re able to really sculpt out the perfect shape for your brow. One end also has a spoolie so it makes doing brows a wiz, just as the name suggests. I’ve already been through three of these pencils, I love them that much! That concludes my July Favorites! Comment down below and let me know which products you loved last month! I know this is no brand spanking new product, but a few months ago Rihanna released a shade of lipstick for MAC’s Viva Glam collection. I’ll be honest, I was really on the fence about buying this lipstick or not, and it was probably the packaging that gave me the final push to purchase it. 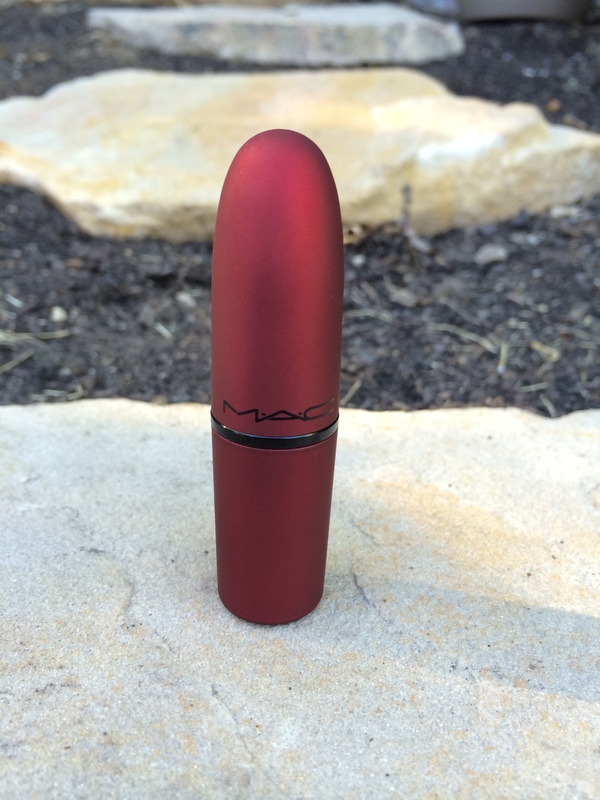 Who can really resist when MAC does special packaging?! But after wearing this lipstick, I’m pretty surprised that I’m liking it as much as I am. The lipstick itself is a blue-based red in a frost finish. 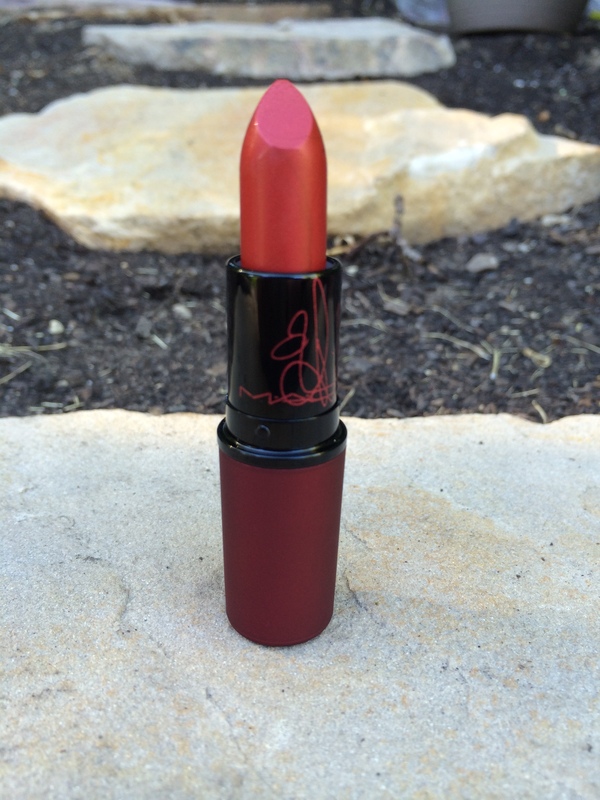 It is very similar to Ruby Woo (As the name definitely suggests). I feel like MAC took the same color and just turned it into a frost finish instead of Ruby Woo’s signature matte. RiRi Woo also appears to be a lot more sheer, making it a little more versatile if you want to pair it with different colored lip liners, or layer lipsticks. It also feels great on the lips, it’s not drying like Ruby Woo tends to be because of it’s matte finish. In my personal opinion, I don’t think that RiRi Woo is a necessity unless you’re an avid Rihanna fan, or you just can’t resist that amazing packaging. 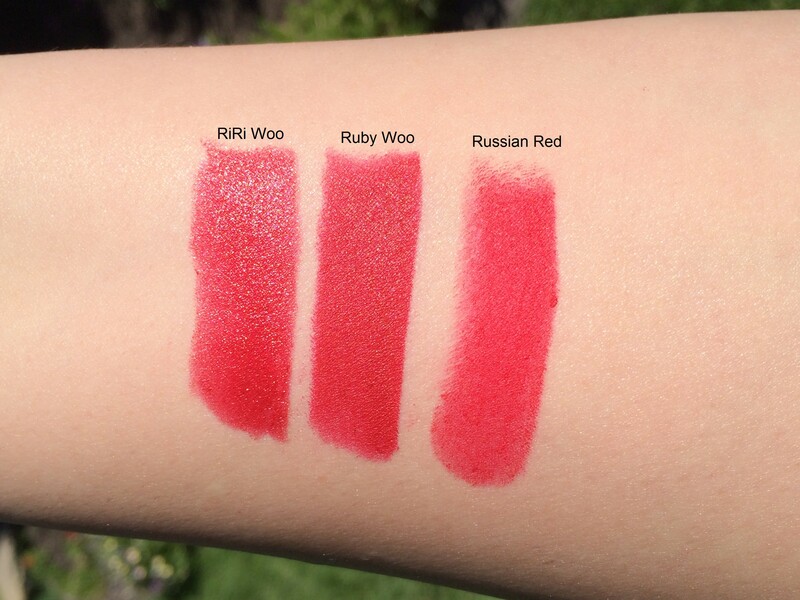 As you can see from the swatch above, it’s really similar to both Ruby Woo and Russian Red. The only difference is the frosty sheen that can easily be achieved by just using a gloss. But if you’re looking to add a red to your collection, RiRi Woo might be one to check out simply because of how versatile it can be. Please share any of your thoughts on this lipstick below! Thanks for stopping by and have an enjoyable and relaxing weekend! Hey guys! It’s that time again! Can you believe that the year is already half over? June especially seemed to fly by for me! 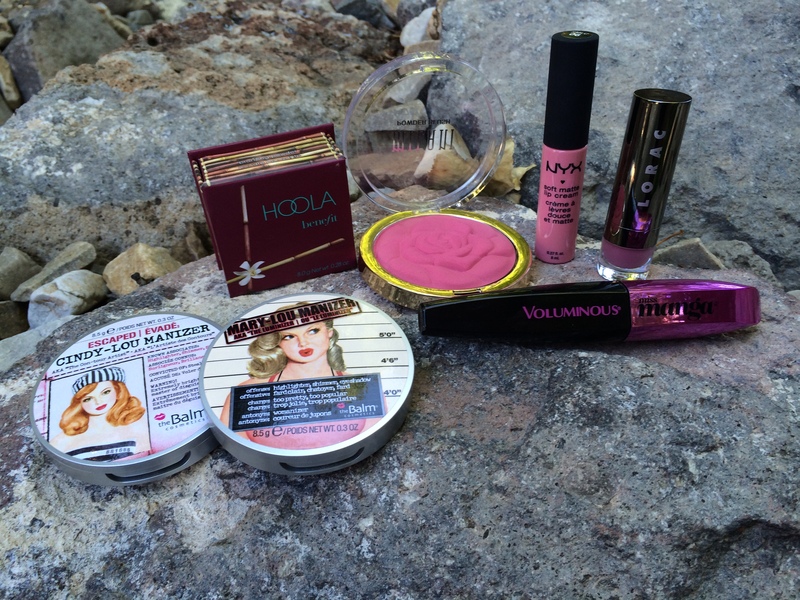 So here’s some products that I’ve been loving throughout the month. 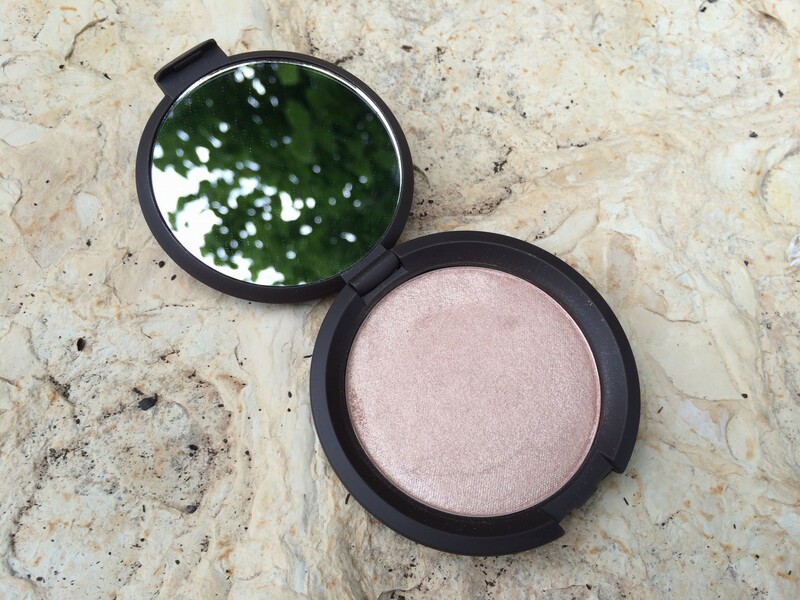 I heard such great things about this highlighter that I finally broke down and purchased it. Boy, I’m so mad that I waited so long to get it! Since I received it I have shoved all of my other highlighters aside and have used this guy every single day. 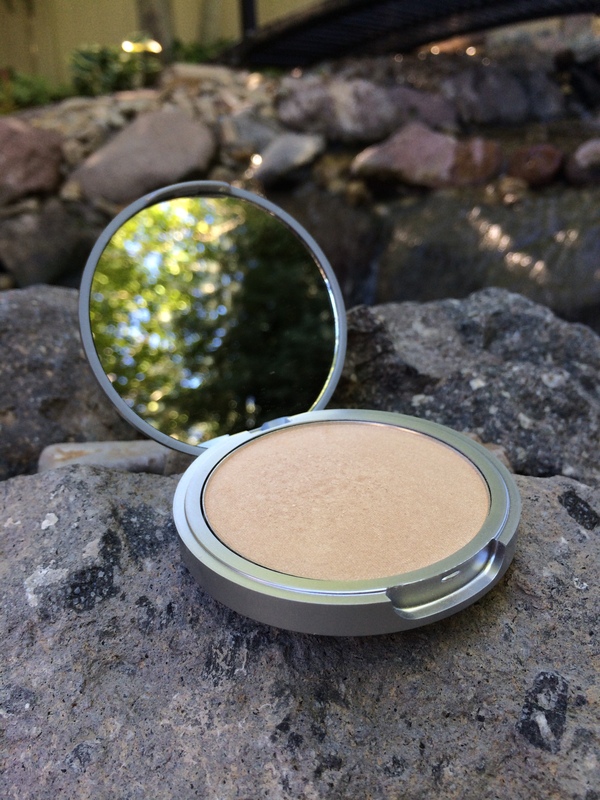 It’s a pretty intense light-golden hued highlighter, and it makes my skin GLOW! It also lasts all day long on me. I cannot say enough good things about this product! It’s definitely moved into the top spot for my favorite highlighter. I liked the Mary-Lou Manizer so much that I also decided to pick up the Betty-Lou Manizer. This is a deeper rose-toned highlighter and it’s a bit to dark for my skin to use as a highlighter, so I like to apply it over top of my blush. 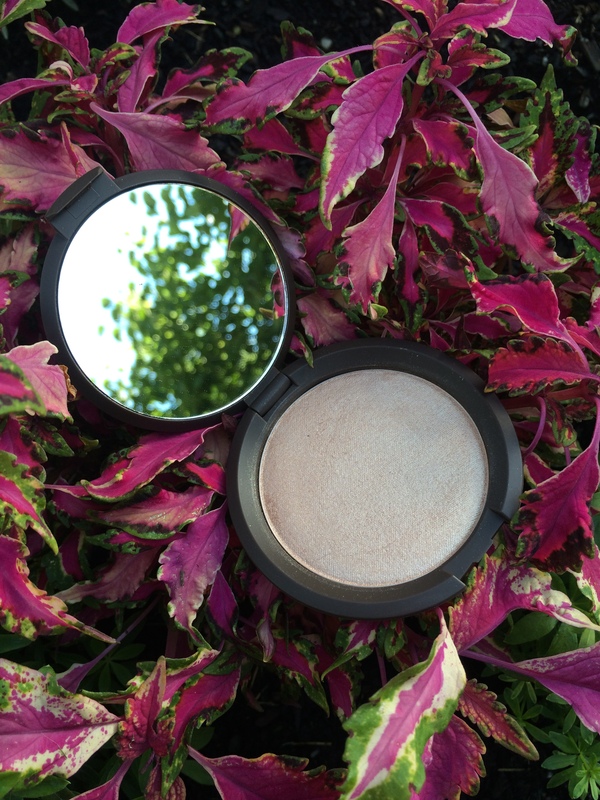 I’m usually not one that loves anything shimmery on my cheeks, but this is so beautiful that I’ve been wearing it nearly every day. 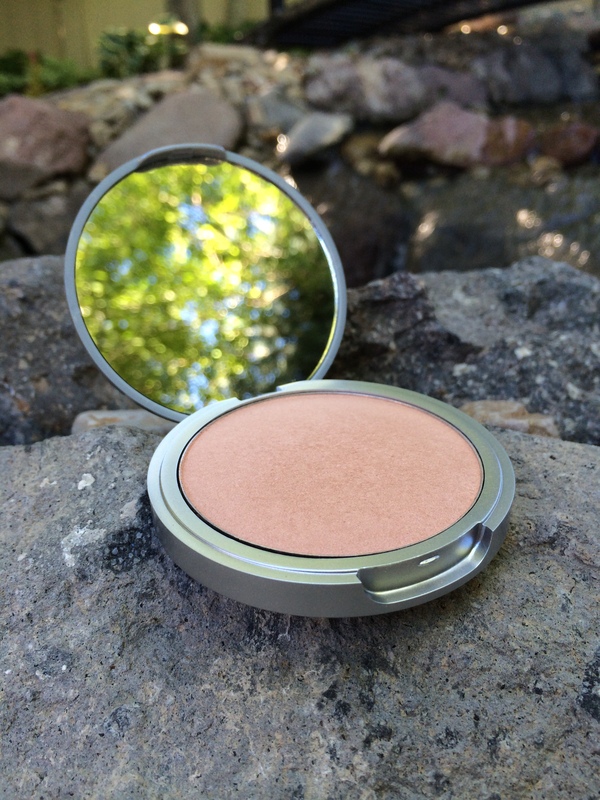 It gives a very natural “glow from within” look that really livens up the face. 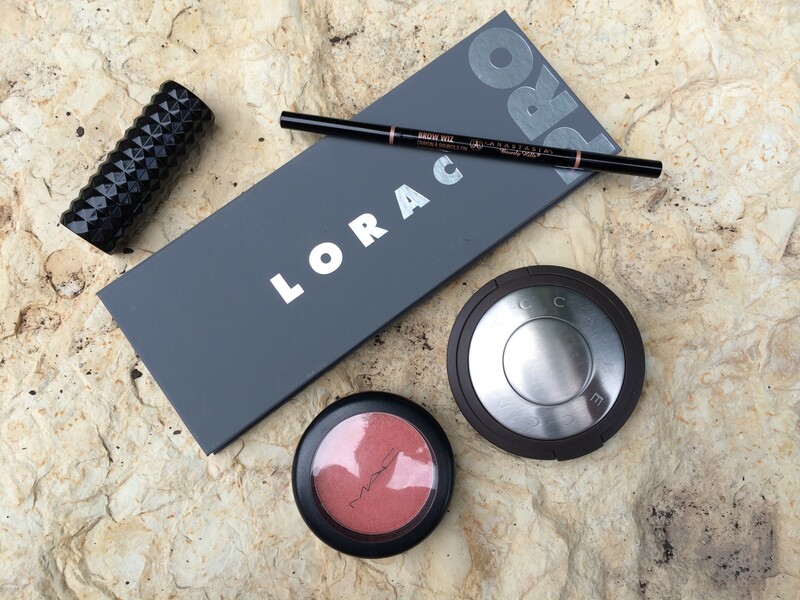 Lorac recently released a new line of lipsticks, so naturally, I had to pick some up! The first color I was drawn to was Dutchess. It’s a muted purple color with a matte finish. This guy is a little tricky to work with since, let’s be honest, the color looks like a bruise! So I like to lightly tap it onto my lips instead of apply it like a normal lipstick. The light amount of color is so gorgeous and a little different from the nudes and pinks that we tend to see most of in the summer months. I also love the packaging of these! Lorac just nailed it with these lipsticks. 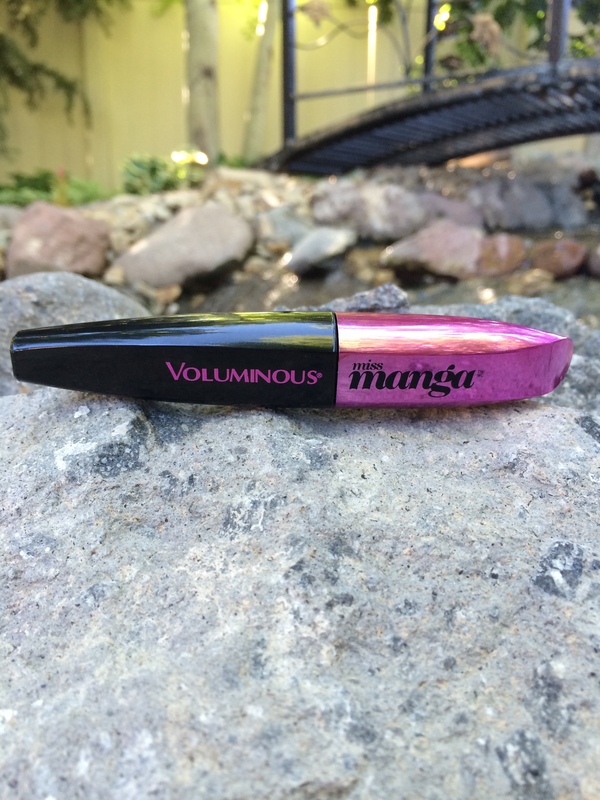 It’s no secret that my favorite drugstore mascaras belong to the L’Oreal Voluminous line, so I decided to try out Miss Manga since it’s pretty new on the market. It has a natural bristle brush which strays away from the usual plastic wands that the Voluminous line usually carries. I have to say, I’m loving the wand! One thing in particular that is unique about it is that the wand bends. We’re not talking about a slight bend, it literally bends to a 90 degree angle! This was a little strange to get used to, but I’m finding that I love it the more I use it. The mascara gives me length and volume and hasn’t once smudged on me during the day. I’ll definitely be repurchasing this guy! 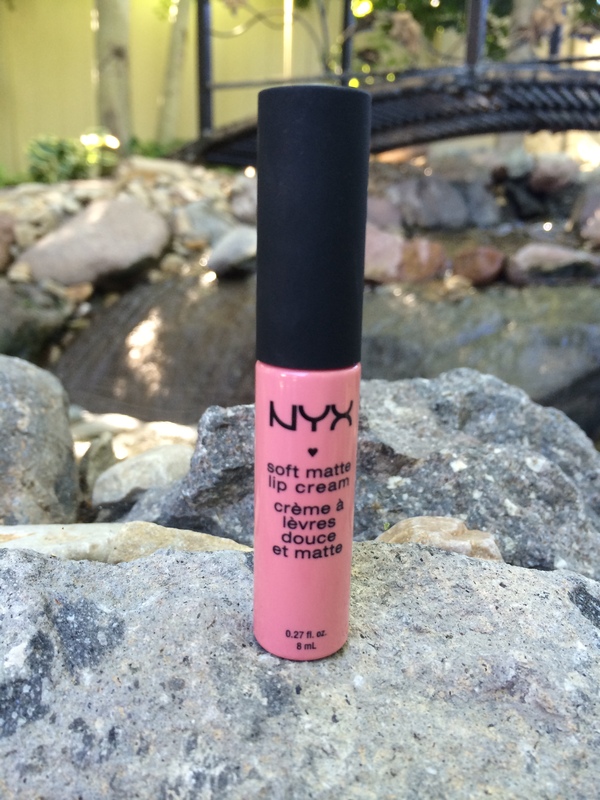 I’m a huge fan of matte lips, and I’ve been loving the NYX Soft Matte Lip Creams. They are super long lasting and have a ton of different colors. The best part? They’re extremely wallet friendly at only $5.99 a pop. The only negative is that they do dry out the lips, as do most matte lip products. So I just plop on a bit of lip balm before I apply the Matte Lip Cream and it seems to help quite a bit. I think it’s safe to say that I’m obsessed with this bronzer! It is literally the perfect shade. It’s not too muddy or too orange, and it looks incredible on the skin. 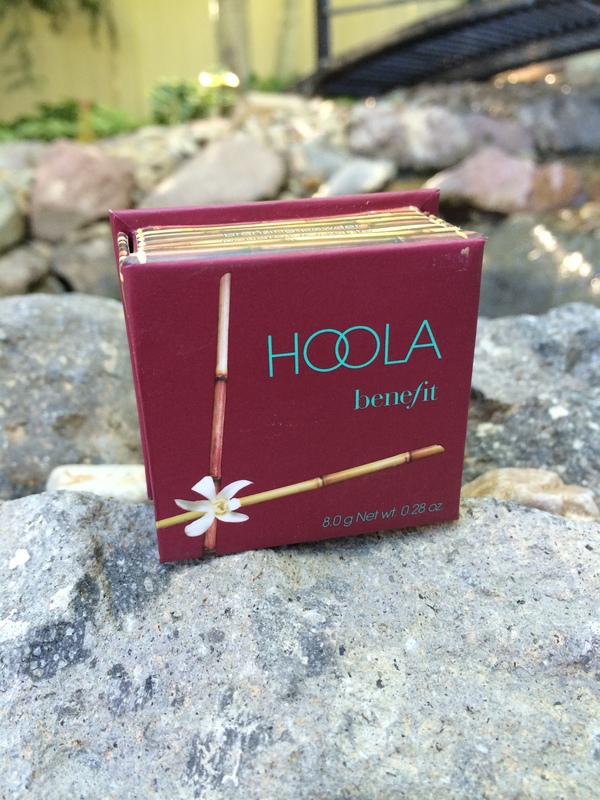 It can be used as a typical bronzer, or as a contour for people with a lighter complexion. Also a fun tip, if you’ve been looking to track down the NARS Ita brush, the little brush that comes with this guy is a great dupe! It obviously has a much shorter handle and the brush is slightly thicker than the Ita, but it’s great to test out to see if you like the application before you splurge on a brush. That concludes my June favorites! Thanks so much for stopping by and please let me know what products you’ve been loving this month! I’m always looking for new products to try out. I hope you all have a great week and that all of you Americans enjoy your 4th of July! Happy Friday everyone! 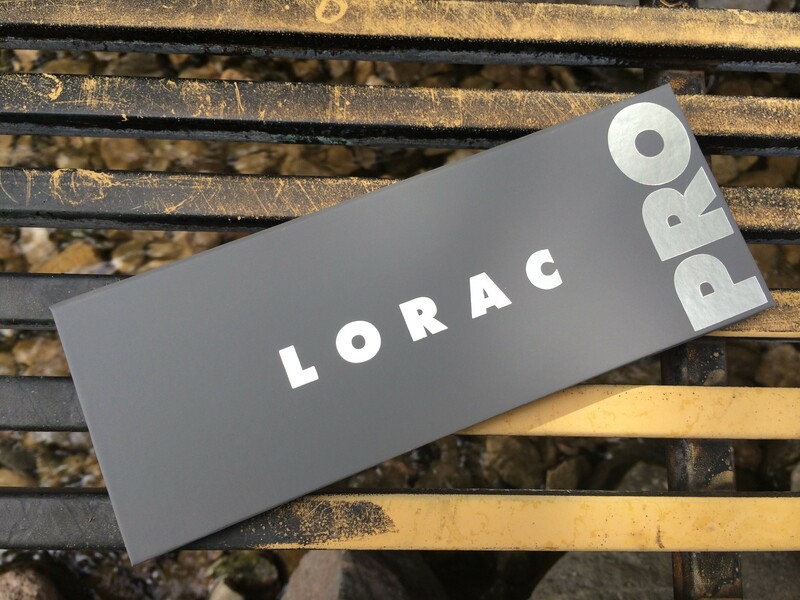 This week I received the long anticipated second installment of Lorac’s Pro Palettes. The original Pro Palette is hands down my favorite palette that I own, so I couldn’t wait to get my hands on this guy! The main different between Pro 1 and Pro 2 is that Pro 2 features cool-toned shades, as opposed to the Pro 1 being full of warm-tones. The packaging is identical to the 1st, with exception to the color being a cool gray. 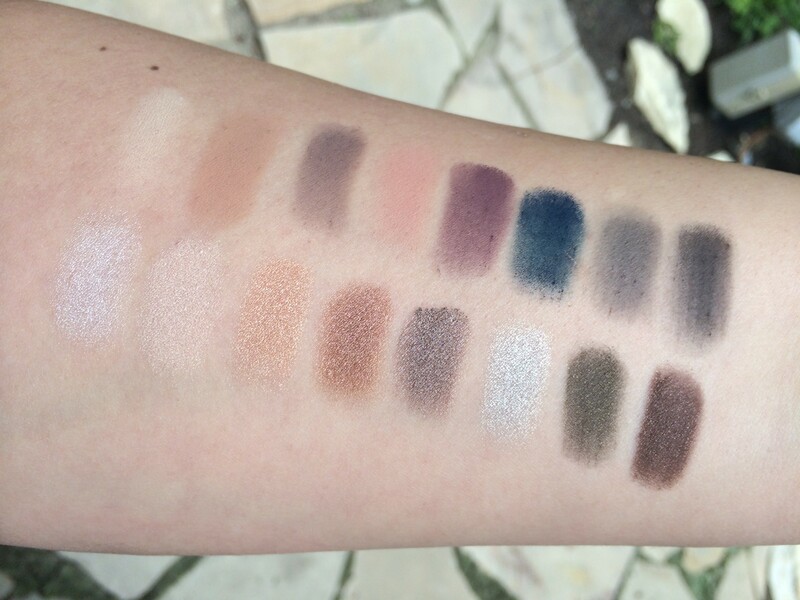 Like the original, it contains a full row of mattes and a full row of shimmers for a total of 16 shadows. 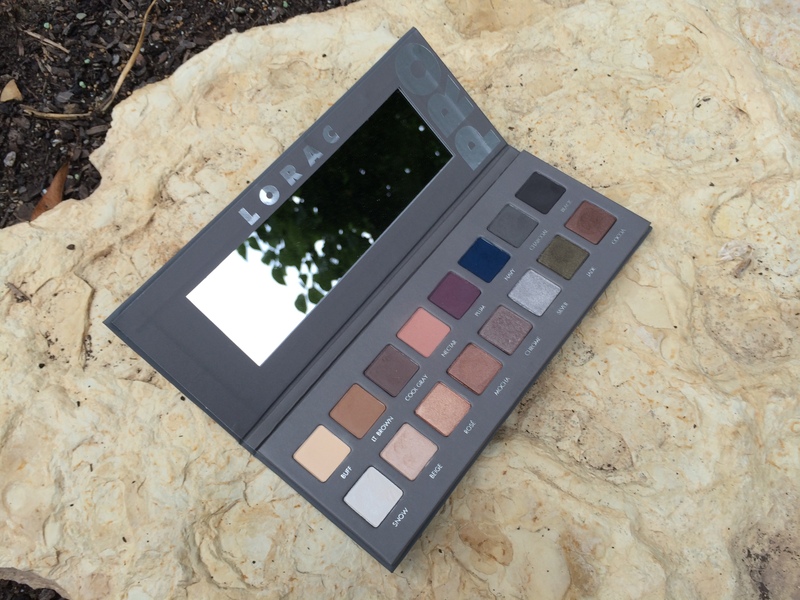 The shadows themselves are exactly what we’ve come to expect from Lorac. They are extremely pigmented, buttery smooth on application, and easy to blend. Their quality rivals that of the first Pro palette. Like the first, it also includes a matte black. The variety of colors is also phenomenal. 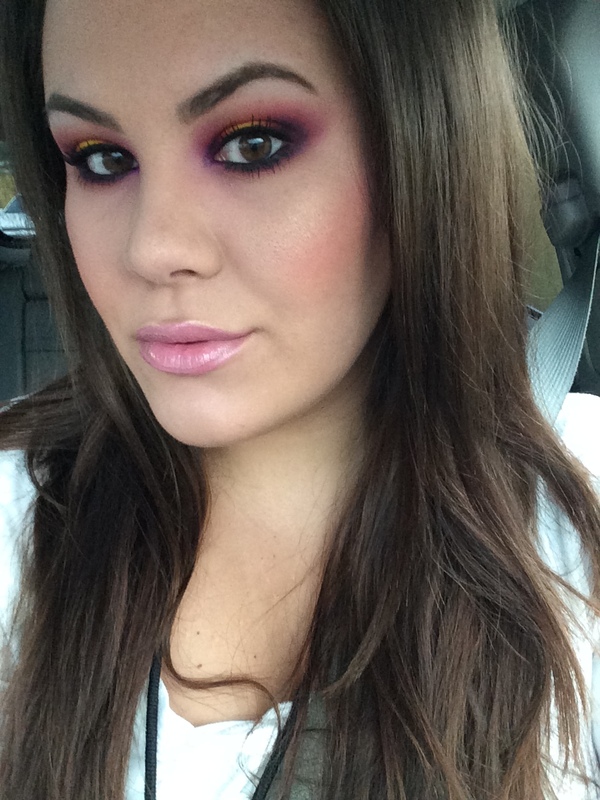 You can go for a more neutral and natural look, or really bump it up with a dark smokey eye. The possibilities are really endless! One color in particular that stood out to me is Nectar. 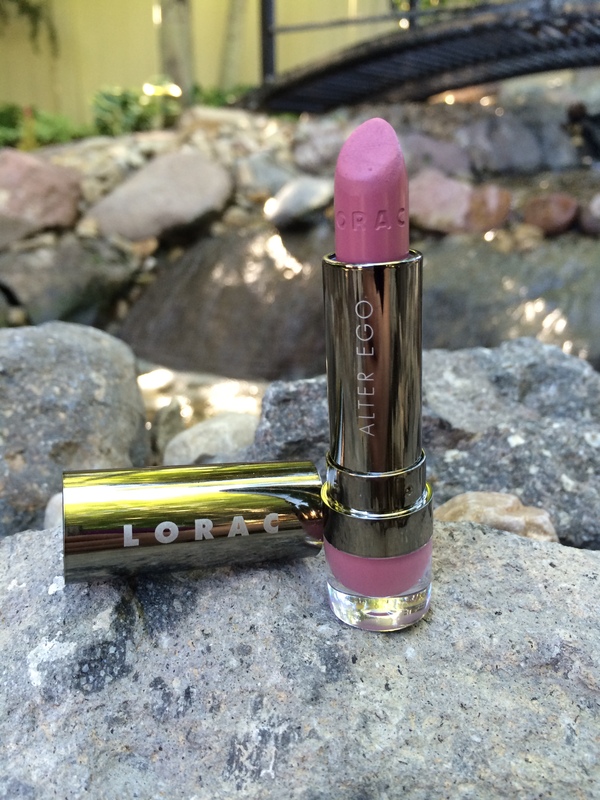 It’s a peachy-pink matte and it’s such an original color! 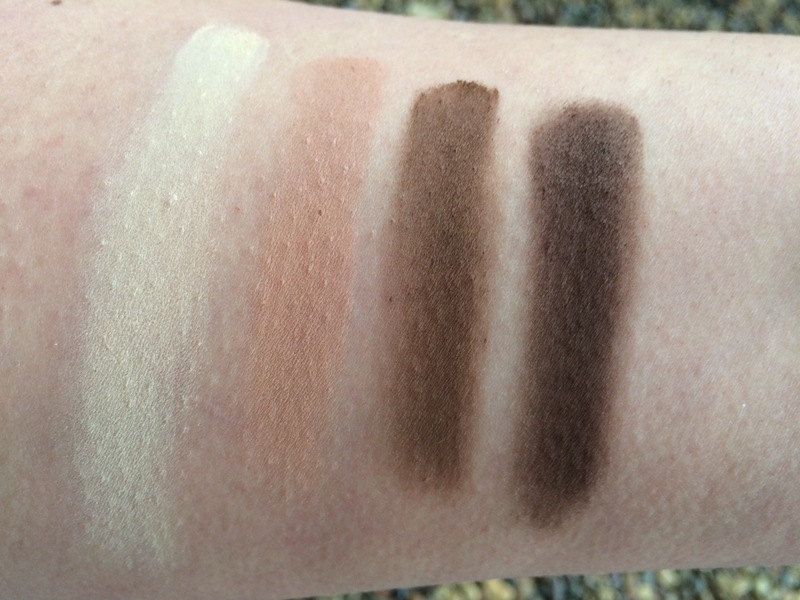 I don’t have anything like it in my collection and it would be perfect in the crease to add some warmth as opposed to using the typical light brown shade. One thing I wish this palette had was a dark matte brown to deepen up looks since the only dark matte that’s not colorful is just plain black. Bottom line, I absolutely love this palette. The quality, colors, and variety are so good! 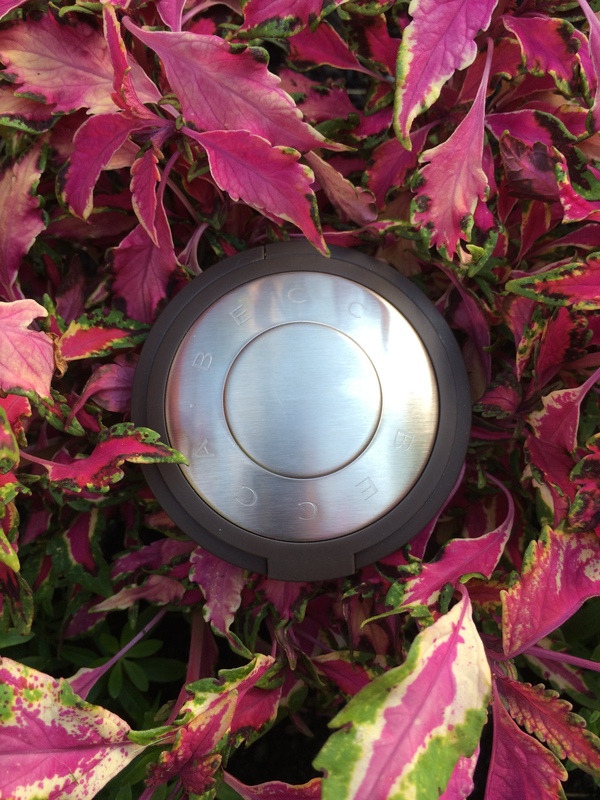 It’s the perfect palette for traveling or simply everyday use! It’s definitely one to check out if you’re in the market for great quality shadows with a lot of variety. 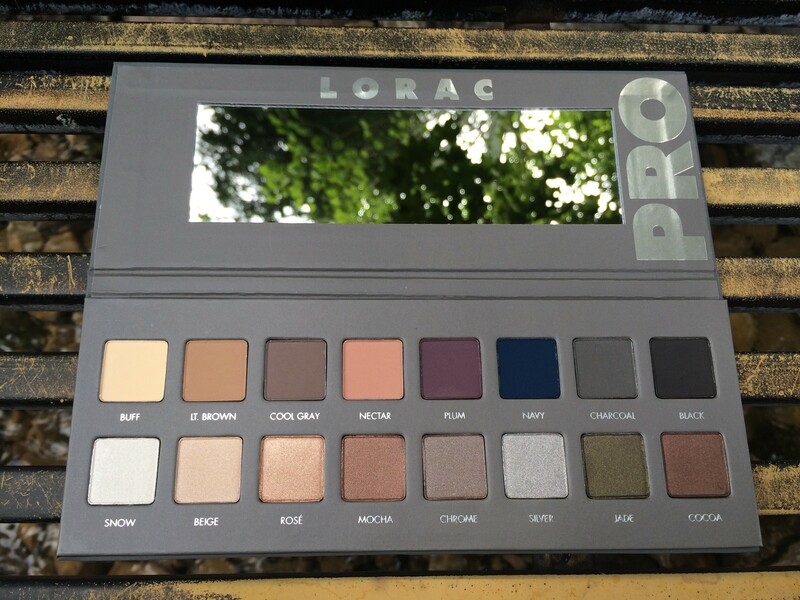 The Lorac Pro 2 retails for $42 and is available now at Ulta.com and will be available in Ulta stores on 6/29. Thanks so much for stopping by and I hope you all have a wonderful weekend!